We provide a personal service to our clients based upon relationships that we have built up with those clients rather than based upon the transactions themselves. The firm consists of three Solicitors and four support staff who can deal with your requests and concerns professionally but with a personal touch. The firm of Lockhart & Co., was first set up in July 1999 by the late Geraldine Lockhart. Geraldine had worked for the previous 20 years as an associate Solicitor in the firm of Neville Murphy & Co., in Bray. Her son, Gerard, who had worked for several years in another practice in Dublin City Centre joined the firm in 2002 as a Partner and it was then that we moved to our current location in Fairview. In the years 2008 to 2011, the firm briefly amalgamated with another firm in Killester but we have now returned to our offices in Fairview. 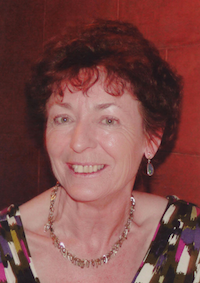 Geraldine Lockhart passed away in December 2011 and her son Gerard together with the other Solicitors and staff in the office are endeavouring to maintain her high standards and professionalism.